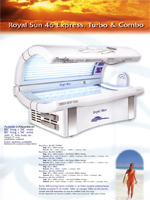 American Quality Mfg, Inc. has been in the manufacturing business since 1991. Our three buildings provide over 30,000 sq ft of manufacturing and assembly space. A fourth building offers 10,000 sq ft for parts distribution. 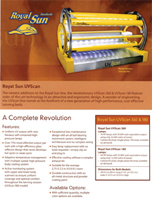 We currently manufacture and market our own line of Indoor Tanning Beds and Exercise equipment worldwide. Through our manufacturing partnerships, we manufacture a variety of other products from Air Purification units to Solar Powered ventilation systems. American Quality Manufacturing welcomes manufacturing partnerships with businesses and entrepreneurs. We will work with you to turn your product dreams into reality or take on your manufacturing needs as your one stop outsourcing provider. Let us show you how Co-Op manufacturing can lower your company’s cost while providing you with top quality products. American Quality Manufacturing – the Next Generation of Job Shop. WE’RE YOUR BUSINESS PARTNER and PROBLEM-SOLVER.